Georgetown, Guyana – (February 24, 2018) President David Granger will not be attending the Twenty-Ninth Inter-sessional Meeting of The Conference of Heads of Government of The Caribbean Community (CARICOM). The Guyanese Head of State regrets his absence at the meeting but has opted to remain in Guyana to focus on domestic issues at this time. 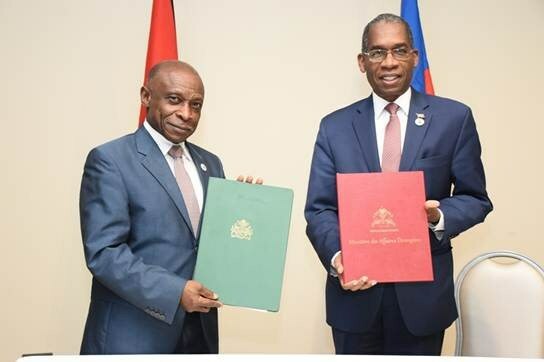 Guyana’s three member delegation to the meeting will be led by Minister of Foreign Affairs, Mr. Carl Greenidge, who is also performing the duties of Prime Minister. The Inter-sessional meeting is being hosted in Haiti from Monday, February 26 to Tuesday, February 27, 2018.